A1 Overseas International ships to Martinique! Call 1-800-450-5319 or fill out the form for more info and a FREE quote! Use your own vehicle to travel Martinique after your move there. With A1 Overseas International, you can ship to the country through professional services. 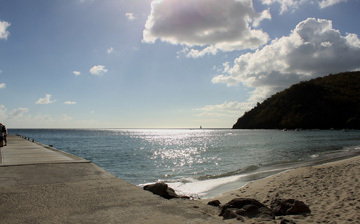 You can expect your vehicle to arrive safely into the country without having to worry about how you’d get the vehicle across the water to Martinique. The auto shipping company will guide you through the entire process step by step. Their professionals have plenty of experience and training to successfully oversee any kind of international auto transport. They will even assist you in gathering all of the pertinent information needed and required by Customs. However, you should contact the Embassy of France prior to the import. This will assure that all restrictions and rules are dealt with appropriately.